Cauliflorous: Developing flowers directly on a stem or trunk. * From Latin caulis = stem or stalk. 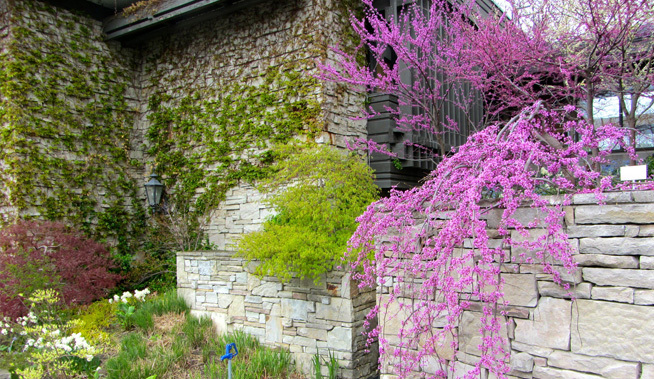 Redbud trees, Cercis canadensis, are cauliflorous plants. They are able to produce flowers from the old wood of their trunks and branches. They are one of few plants outside of the tropics able to do this. *Neal, B. (1992). Gardener’s Latin: a lexicon. New York: Workman Publishing Co.